LOCATION, LOCATION, LOCATION! This beautiful modern condo in Alicante Villas was built in 2000 and is close to so much of what Sacramento has to offer. Close to CSUS, and within walking distance to many local hot spots. Residents feel safe in this gated community with security patrol in the evenings. This upstairs unit is nestled in this well kept community complete with wonderful amenities such as a gorgeous pool, gym, and clubhouse. The lovely kitchen with stainless steel appliances and granite counters is a chef's dream! 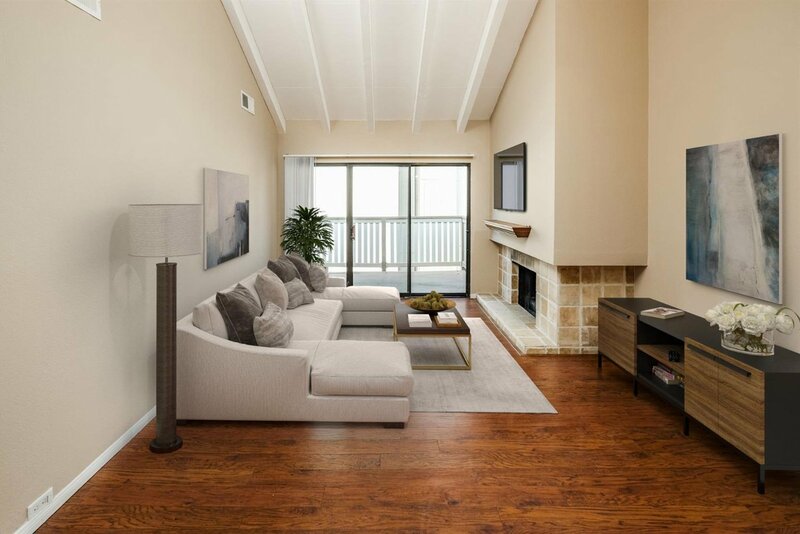 The functional and spacious floor plan features two large bedrooms, two full baths, and a lovely private balcony to entertain guests. There is one dedicated covered parking space, plus an additional space. This home allows for easy access to great restaurants, freeways and shopping centers. Please note, some images have been staged with digital furniture. Listing courtesy of Gateway Properties. Selling Office: Gateway Properties.